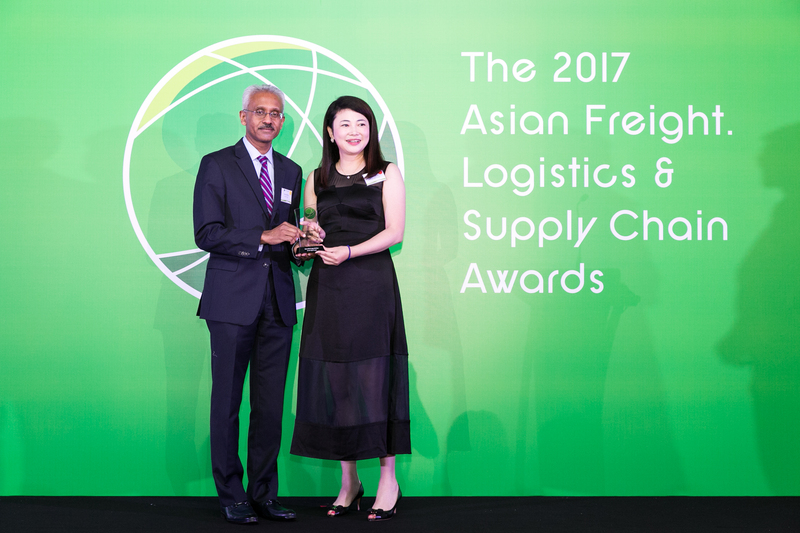 The 2017 awards, hosted and organised annually by Asia Cargo News, recognise leading service providers including air and shipping lines; airports and seaports; and logistics, 3PLs and other associated industry professionals. The nomination and voting processes allowed the more than 15,000 readers of Asia Cargo News and e-news subscribers to first determine the leading companies in the market, and then choose the winners, making the results the opinion of service users rather than a panel of judges. In April, Taipei came ABC’s twelfth online destination in Asia Pacific, joining AirBridgeCargo’s existing services to and from Tokyo, Seoul, Singapore, Hanoi, Phnom Penh, Hong Kong and the Chinese cities of Shanghai, Beijing, Chengdu, Chongqing and Zhengzhou. ABC, which grew its volumes ex Asia Pacific by 25% last year to 265,000 tonnes, now operates 79 Boeing 747F departures a week from the region, giving customers fast connections via its Moscow hub to 14 online destinations in Europe and five major gateways in the U.S.
“Thousands of shippers and other customers have voted for the 2017 AFLAS winners, making these awards a true reflection of industry expertise,” said Asia Cargo News publisher Darren Barton.